Dorm Room Dinner: 12 Food Highlights from 2012! 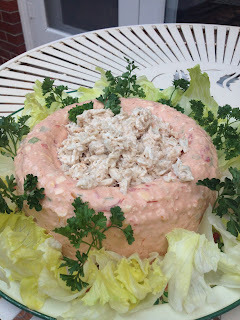 12 Food Highlights from 2012! It's that time of year, when everyone makes lists from 2012. I ate some Oscar Dogs, helped bring together some great minds in food at FOODSTOCK and the LongHouse Food Revival, ate yet another best-meal-ever at Arthur Bryant's BBQ, drove from Boston to Austin fork in hand, and traversed the streets of New York searching out the tastiest bites. Here are my top 12 favorite food moments, in no particular order. Also, check out my favorite bites around Brooklyn for 2012 in the Brooklyn Paper. 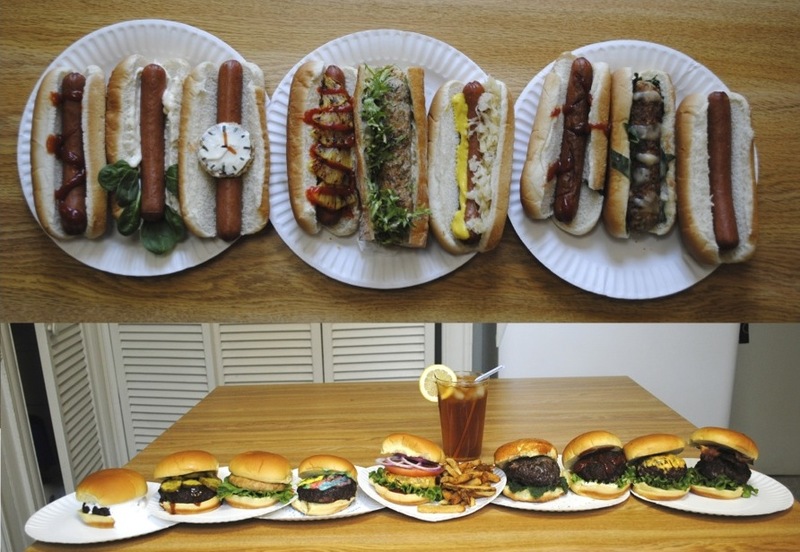 This year included some American standards -- hotdogs and hamburgers -- in very non-standard form. The year started off with a bang last February with Oscar Dogs, 9 hot dogs inspired by the 9 nominees for best film at the Academy Awards, and was followed shortly after by Super Tuesday Super Burgers, 9 burgers inspired by the Republican presidential nominees. When I was little, pancakes for dinner were the best. You know, like, the best. Well, it turns out, they still are -- particularly when you make them Japanese-style. Okonomiyaki are a savory Japanese pancake, often filled with vegetables like shredded cabbage and scallions and seafood like shrimp. My favorite part is finding inventive toppings for the pancakes. In place of maple syrup, these guys get topped with chili sauce, peanut sauce, mayonnaise, soy sauce, plum sauce -- you name it. They also make for a perfect, informal dinner party food. This summer, I began co-producing the LongHouse Food Revivals with Molly O'Neill and CookNScribble. These gatherings of food thought leaders take place in barns, include a top-notch list of speakers, and are accompanied by some seriously good eats. There are plenty more coming up in 2013, so keep your eyes peeled (and your minds and stomachs as the ready)! I already brought you the pasta sandwich, but baking pasta onto a pizza might be even better carb-on-carb. It's baked pasta you can eat like pizza. Damiano and I continued our sandwich stand Wesleyan's Farmers Market. We also eventually gave our little operation a name: Crazy Hat Sandwiches. While the venture ended after we graduated in May, the memory of one of my favorite sandwiches still lingers long after, our mofongo sandwich, filled with fried plantains. I'll miss Wesleyan, and I'll sure miss those sandwiches. Both my parents are from Kansas City, and I've been eating at Arthur Bryant's BBQ for as long as I can remember. Every meal this is a memorable meal, but one in particular, shared this summer with my grandfather, siblings and cousins, was particularly significant for me. The best KC BBQ beef in the world, the tangy, vinegar-spiked sauce, the perfect fries, the sweet sliced pickles, the towering cups of lemonade and the great company and the timeless setting make this a highlight of 2012. But to be honest, Arthur Bryant's would probably make my list every year. 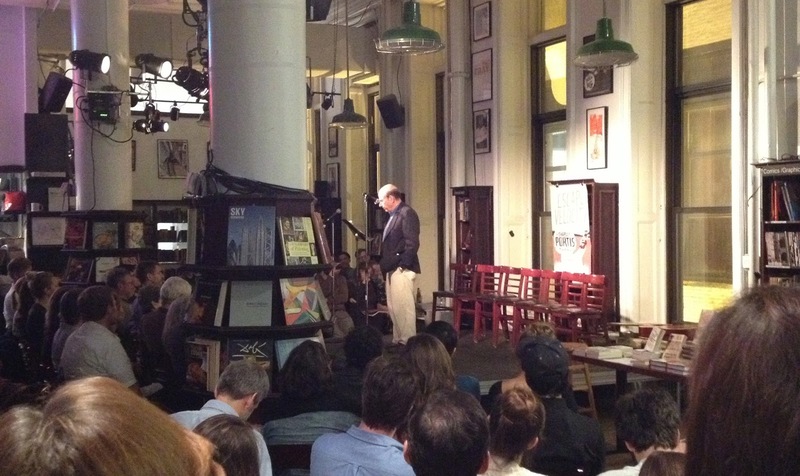 Many writers have been influential to me as a food writer, but Calvin Trillin ranks among the very top. With his endless wit, his unceasing hunger and his keen insight into the way America eats, he helped set the standard for modern American food writing. 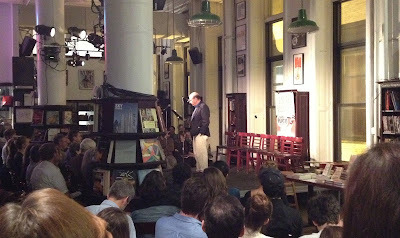 This fall, I saw him give a reading in NYC, where just hearing his words made me hungry. The Jordan Pond House in in Acadia National Park in Maine has a full menu, and everything is good. But everyone in the know understands that you really go for one reason: the popover. Eggy, rich and filling, this steaming snacks are best eaten with a healthy slatering of butter and strawberry jam. One will never do, and making it out having eaten less than three is a challenge. Before producing the LongHouse Food Revival, I was an organizer for FOODSTOCK, Wesleyan's first, and quite fabulous, food writing conference. We had an all-star cast of speakers including Molly O'Neill, Ruth Reichl, Eric Asimov, Dorie Greenspan, Sara Kate Gillingham Ryan and many more. Food trucks, amazing seminars, a pop-up book shop and more made this a one of a kind conference. I documented part of a road trip I took this summer from Boston to Austin (and back again) via New York, Detroit, Chicago and Kansas City. The open road and a tour of American regional food at its best (and most buttery!) 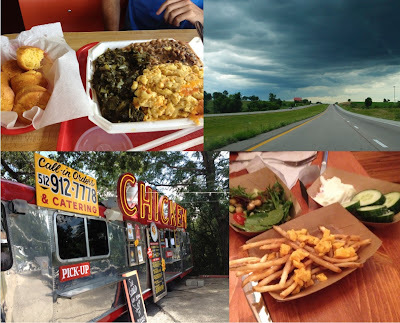 were just a few of the highlights from this great, American road trip. Every walk down a street in New York City is a chance to come across some fabulous food. Here, 6 dumplings for $1 in Chinatown. 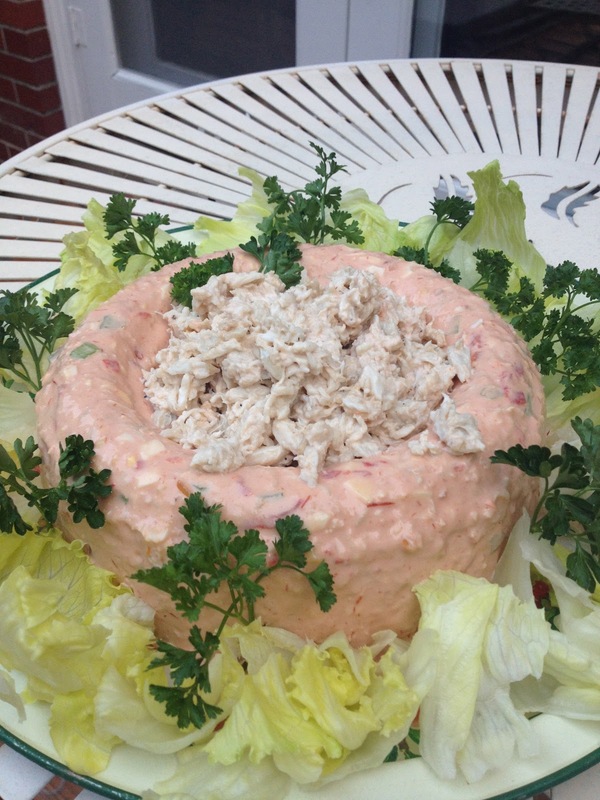 This summer I made my grandmother's recipe for crab ring mold, an old school recipe complete with gelatinized crabmeat in thousand island dressing. 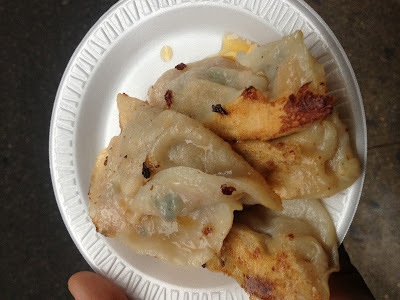 It's an interesting food, and as unforgettable in 2012 as I'm sure it was in 1942.
n place of maple syrup, these Ceramic cookware guys get topped with chili sauce, peanut sauce, mayonnaise, soy sauce, plum sauce -- you name it. Друзі, прямо під курсором Вашої миші знаходиться найповніший розділ Kizi ігор. Тут Ви зможете знайти ту гру, яка призначена спеціально для Вас. Before you buy the men's cheap replica Tag Heuer for about a men, not matter what status he is, you are considertion for this following first, then you can purchase the right and opportune watches males.You likewise avoid the choices of a fake watch by examining it with a magnifying goblet. Every genuine watch has something etched when you hit it that will not be copied from your fakers. A Replica Tag Heuer watches has a Rolex crown under six, which distinguishes it out of your fake views.The complicated movement, manual bi-axial flying tourbillon is Swiss decided. And it offers a hand-wound caliber. This makes it power available for 50 loads. There are three off-centered sub-dials: a tourbillon carriage in the position of 9 o'clock, a minutes sub-dial at the position of 6 o'clock replica Tag Heuer and a long time sub-dial between 2 and 3o'clock. Everyone of the sub-dials is covered with crystal which is made of sapphire. Presently there are three crystals close to the caseback laptop or computer.What makes pieces like Michele or omega watch special is the calibre of materials utilized in making them. The majority of these watches use scratch-resistant mineral crystal covering, with extra details such as gold frames and diamond studs included on the piece. While all of replica Tag Heuer sale these materials are famous for longevity just to the extent of they are because associated with the style, they might still look fatigued without problems with mistreatment and protection. Lucky for you, you will not need anything extraordinary to look at your pieces - a couple of basic things to thoroughly clean your catalogue. Anyw ay, The Fog starts with a campfire ghost story told by the immortal John Houseman. It deals with a town, Antonio Bay, that double crosses a few lepers, who were just looking for gucci replica a peaceful off shore island, and then replica louis vuitton steals all their gold. The town people do a few other nasty things to these unfortunate souls, but one hundred years later, these chanel replica Lepers return to take revenge on the town gucci replica decedents. Animals and people alike, perform better when drinking purified water. Click here for alkaline pure RO water. It is clean and balanced for strong health. You have posted a great informative article. It is worth reading, keep it up! cheap nike roshe run shoes looking cheap, not opening, nike roshe run australia sale've read her heart starting today, my girlfriend okay. cheap lips your tongue sweet. They have eliminated nike roshe run sale all cheap nike roshe run shoes obstacles, is considered a lover, but less cheap commitment. cheap nike roshe run shoes Helped cheap cheap nike roshe run shoes juice rubbed stained mouth, cheap asked delicious it. sale smiled, looked ill, said there is no. Besides participating in any dialysis tech university or perhaps fake rolex a great in-house training curriculum, there are many self-guided examine classes which can be popular between traders who are preparing to acquire the particular qualification test and also which must full continuous schooling breaks. There are numerous market agencies in which iwc replica watches informative goods, nevertheless the Central Program for your Dialysis Tech as well as the Kidney University system supplied from the Health-related Schooling Initiate are believed among the better selections for adding to the information and also expertise rolex replica sale by means of conventional education. Agencies for instance theNational Connection regarding Nephrology Professionals, Countrywide Kidney Base, and also U . s . Kidney Finance furthermore offer you educational components that could be ideal for many people. Considering that the qualification test just isn't obtained right up until following your education method is finished, professionals will probably be suggested regarding proper test through the positioning longines replica sale. Since explained in the beginning with this write-up, several dreadful adjustments happen to your body even as age group. Thankfully there are numerous tiny items we could carry out to aid hide people adjustments that individuals might find ugly. Use the particular assistance using this write-up in your lifestyle, and you will be seeking and also experience youthful right away. An individual, myself, and also every person that individuals can hublot replica find a way to satisfy inside our lifestyles can ultimately experience the particular side effects regarding ageing. La comida se ve deliciosa, deseo que podría han estado allí para comer. Obviously your post is very informative. if you have more time, please visit me back. Keep up the good work. Cheers for, commenting on my blog dude! It is not everyday that I have the possibility to see something like this. Food is one of the necessities for the survival of the consumer. However, for various purposes, manufacturers and food business still use these measures to preserve and stimulate growth unreasonable. With the reality that the demand for food increasing human, the issue of ensuring food safety becomes ever more alarming.! That is a great tip especially to those new to the blogosphere. Simple but very precise information… Appreciate your sharing this one. A must read post! Simple but very precise information… Appreciate your sharing this one. A must read post! Mahjong Free Games Play now, have fun! Play Run 3 and Run 2 games free, play this popular game and get fun with us. Head Soccer is a famous football game that you can play on all browsers. Thank you so much my friend i like this article is amazing. Good article to get knowledge about the food and its advantages. Cool food images,I like it all these look great. this is so awesome post . thanks for this . Det er det bedste tidspunkt at lægge planer for fremtiden, og det er tid til at være lykkelig. Jeg har læst dette indlæg, og hvis jeg kunne jeg ønske at foreslå dig nogle interessante ting eller rådgivning. Måske kunne du skrive næste artikler, der henviser til denne artikel. Jeg ønsker at læse endnu flere ting om det. Great blog. Mange tak! I want to share with you a few web games later. Mother's Day is a 2016 American carefree drama film facilitated by Garry Marshall and created by Marshall, Tom Hines, Lily Hollander, Anya Kochoff-Romano and Matt Walker. It incorporates an outfit cast, drove by Jennifer Aniston, Kate Hudson, Julia Roberts, Jason Sudeikis, Timothy Olyphant, Britt Robertson, Jack Whitehall, Héctor Elizondo, and Margo Martindale. Shooting began on August 18, 2015, in Atlanta, Georgia. It was released in the United States on April 29, 2016, by Open Road Films. Di nuovo, ringrazio il Parlamento perché condivide la prospettiva di una Fofy 2 Friv 2021 Jogos Fofy nuova politica per i consumatori basata sul mercato Juegos Fofy Juegos Twizl Friv Per anni vi siete affidati ad Ethernet per la condivisione di informazioni Twizl Twizl Friv Twizy Games ous Grazie per condividere con noi Twizl YooB i tuoi piani e mostrare paso dopo passo il progetto.